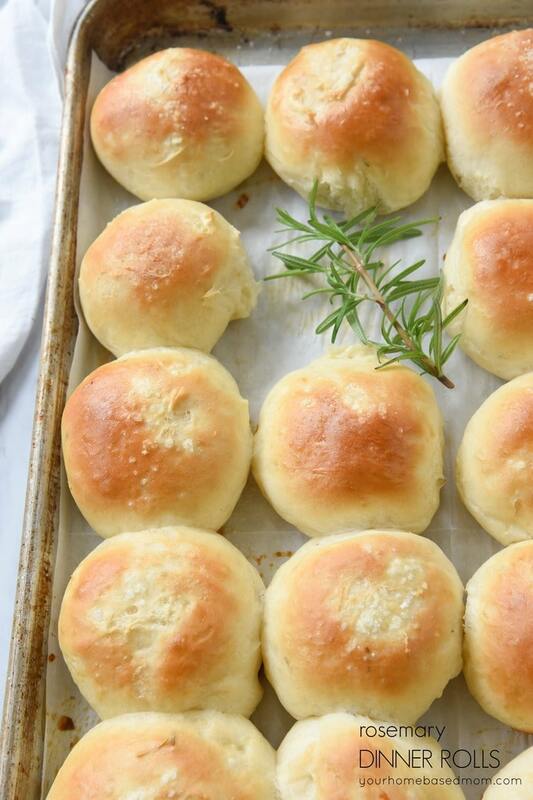 Rosemary Dinner Rolls are the perfect guest to your upcoming holiday table! 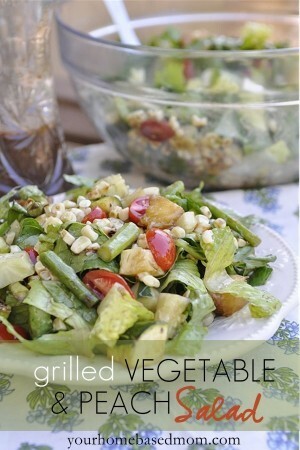 They have great flavor and texture and are everything a dinner roll guest should be. I love practicing my roll making skills and fall is the perfect time to do so. 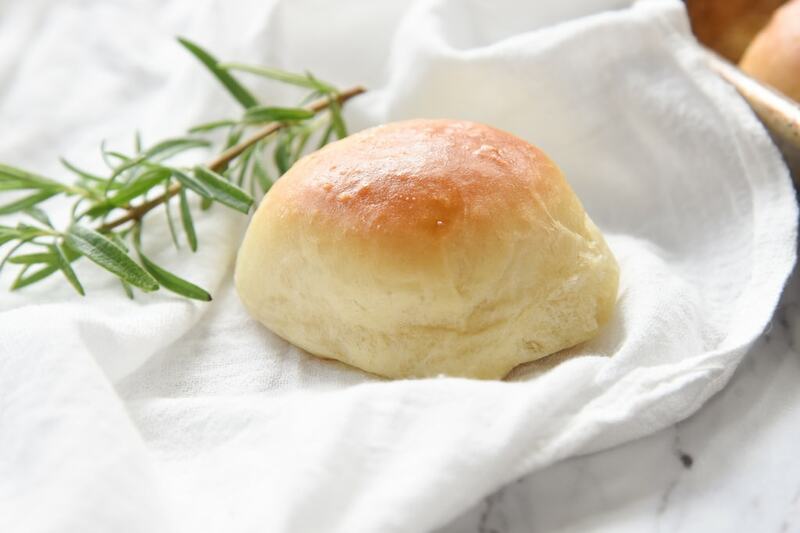 A homemade roll is perfect with a fall soup, pasta, pot roast or let’s face it, a homemade dinner roll goes with just about anything. Sometimes I just eat dinner rolls for dinner and skip the soup. They are called dinner rolls for a reason! These particular dinner rolls have a little something extra special, actually they have two things that make them extra special. The first is the addition of rosemary. You can use fresh rosemary or dried rosemary, either will work just fine. 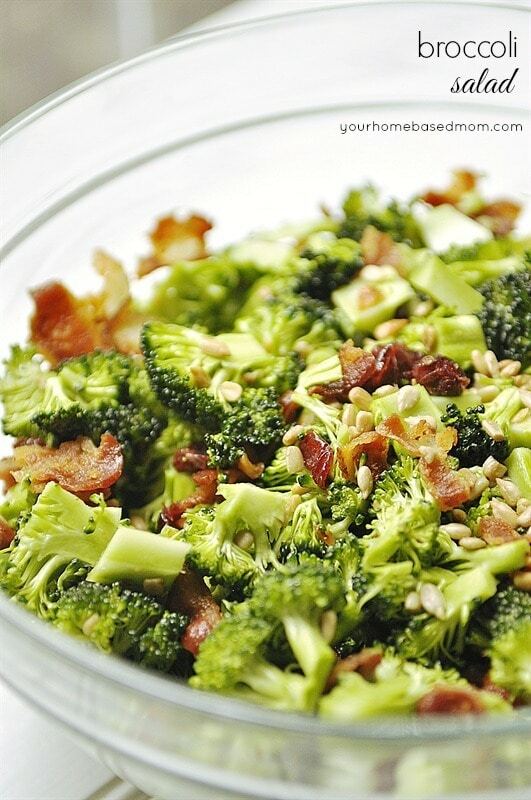 Just use half the amount if you are using dried instead of fresh. The second special ingredient is some coarse salt sprinkled on the top of the roll before baking. 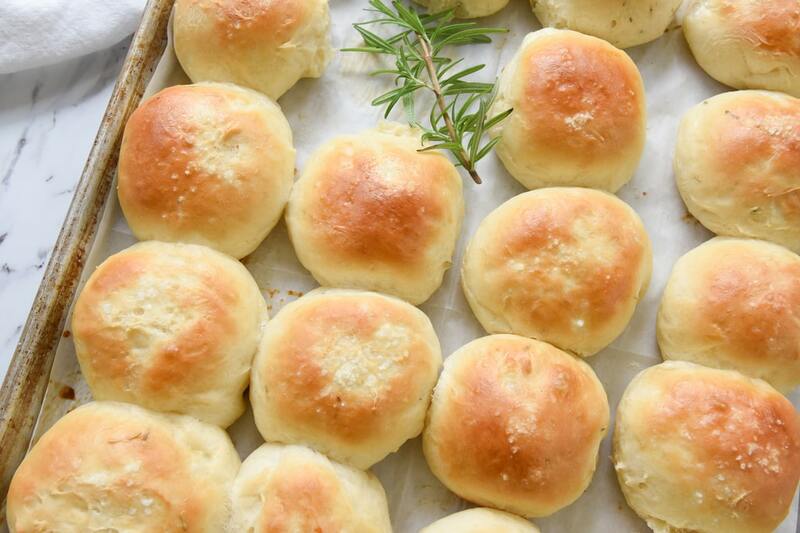 The added salt and rosemary gives these rolls amazing flavor. The rosemary is added right into the dough. If you are using dried rosemary add it in with the milk so the rosemary can re hydrate a bit. I roll the dough out and cut it into squares after the dough rises for the first time. I made 24 medium size rolls. 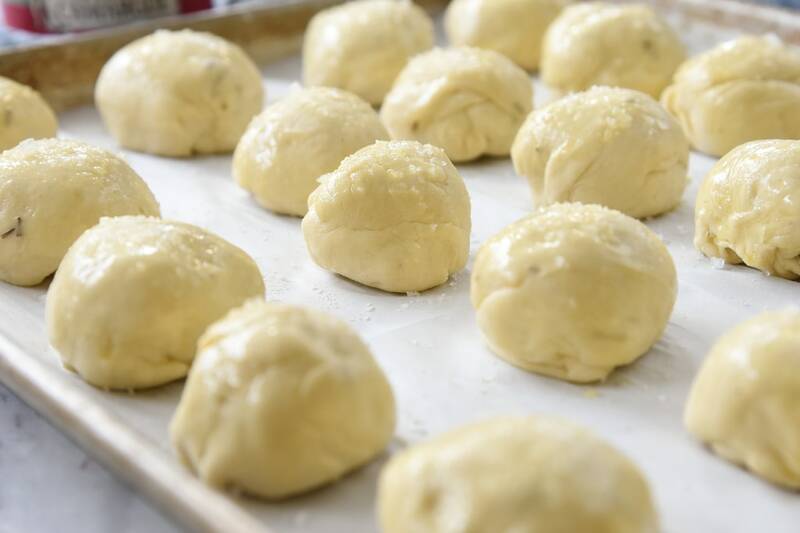 Roll each square into a ball and put the seams underneath the ball of dough. Give each ball of dough a wash of egg and then a sprinkle of a yummy coarse salt. I used the salt I brought home from France earlier this summer. Bake until golden brown and then try not to eat them all before dinner time. Often, I eat my roll or two right when it comes out of the oven. 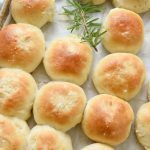 I always say I’m not going to eat any with dinner but my will power isn’t too great when it comes to homemade dinner rolls. The problem/good thing is these rolls are really light and airy so you may find yourself eating more than one or two! Mix together milk, butter and dry rosemary (if using fresh add it in later). Heat until butter is melted. Do not allow it to boil or get hot. Mix together 2 1/2 cups flour, yeast mixture, sugar, 1 tsp salt, fresh rosemary if using, and milk in a stand mixer. Mix with dough hook until combined. Add in enough additional flour so the dough pulls away from the sides of the bowl. Knead until soft but still slightly tacky. About 5-6 minutes. Place dough in a clean bowl and coat with olive oi. Cover loosely with plastic or a cloth towel and allow to rise in a warm spot until doubled. About 1 hour. 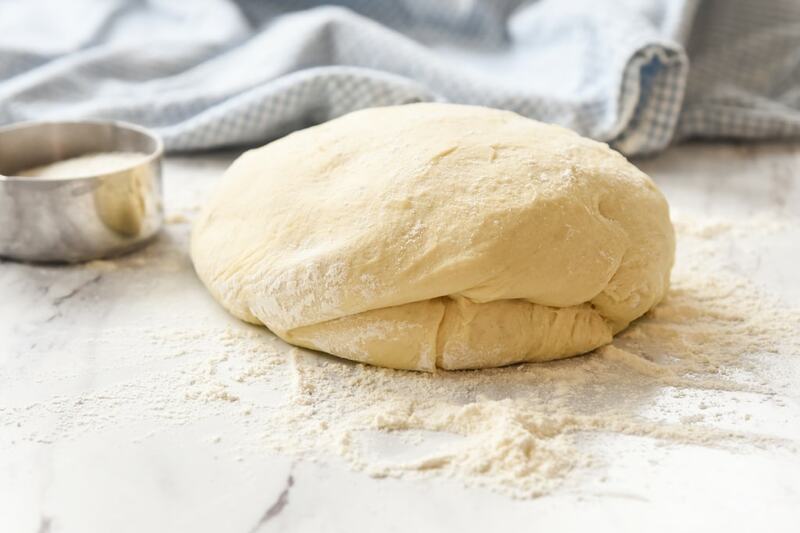 Place dough on a lightly floured work surface and shape into a one inch thick rectangle. Cut into 24 square pieces. 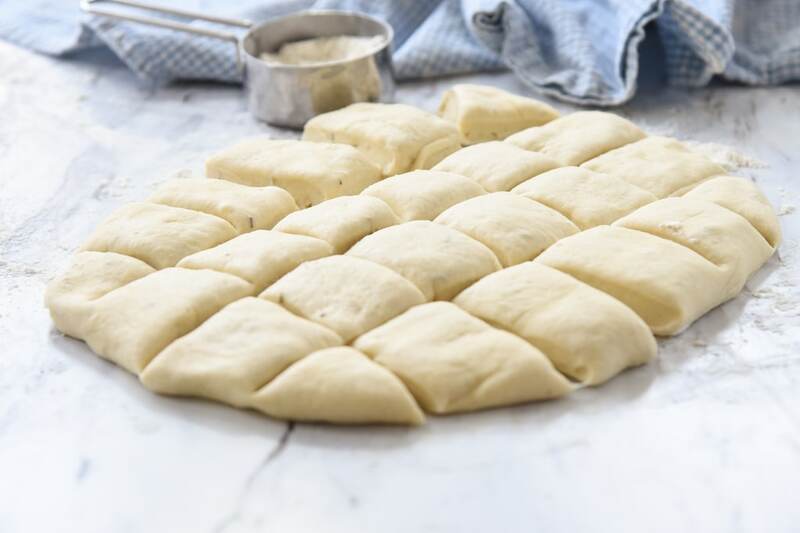 Roll each piece into a ball and place on a parchment lined baking sheet. Pinch the seams together and place on the underside. Mix together egg and 1 tsp water and brush over each roll. Sprinkle with sea salt. Cover and let rise in warm place until doubled, about 25 minutes Bake for 12-15 minutes or until golden brown. thinking ahead… could they be frozen? before baking? or after? Have you tried it? Lisa, I haven’t tried it with these particular rolls but have with other rolls. I usually par bake them and then freeze them. Oh, my, these look Delicious. Perfect item to have on one’s holiday table . . . well Anytime really. Smell of fresh bread baking . . . Pure Heaven. I’m thinking of adding some finely shredded sharp cheddar cheese along with dried dill weed in place of the rosemary. Bake your rolls as usual — as if you were going to serve them right away. Let them cool completely, then wrap them tightly in aluminum foil. Place the foil-wrapped package in a freezer bag or storage container and freeze for up to a month, after which even well-wrapped bread starts to develop frost and freezer burn. 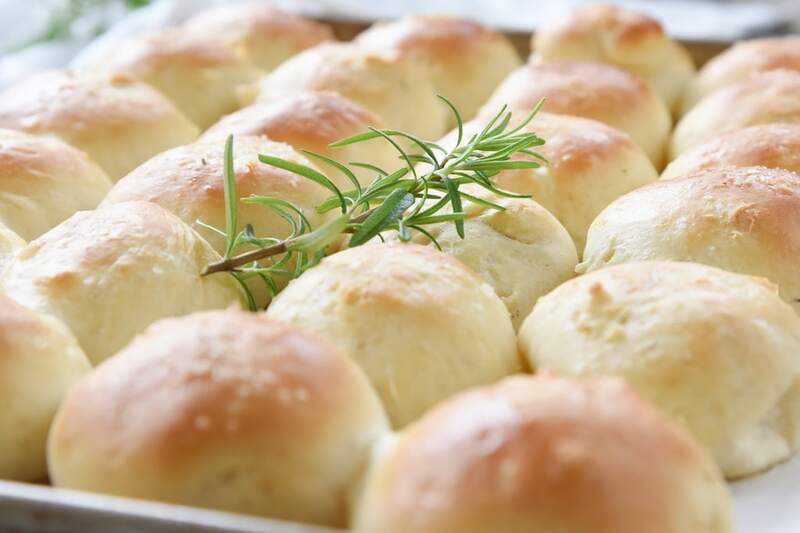 To thaw the dinner rolls, remove the rolls from the freezer the night before you want to serve them. Take the foil-wrapped rolls out of the freezer bag and loosen the foil. 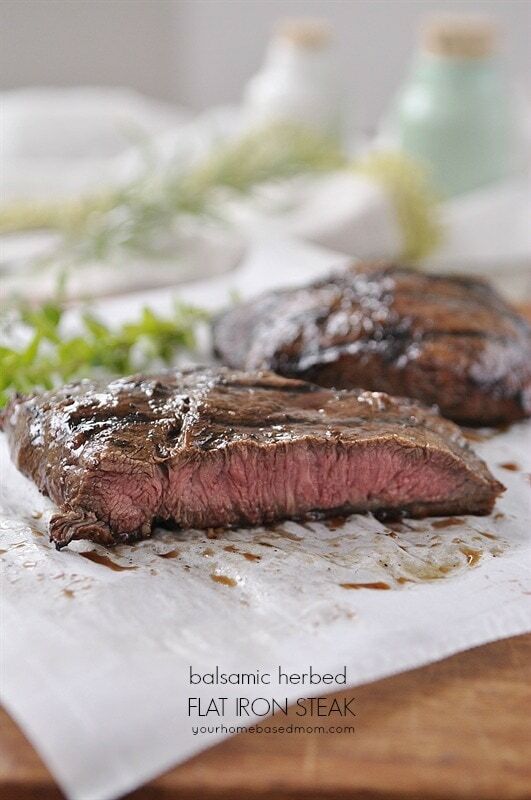 Let thaw at room temperature overnight. Rolls can be served as soon as they’ve thawed but are even better if re-warmed (in their loose foil packing) for about 10 minutes in a 300°F oven. Serve these rolls immediately and while still warm as they tend to become dry once cooled.